The Randy Petes headed into Round 11 off the back of a tough weekend against Club Championship leaders Sydney University, with just one victory across the five Grades. 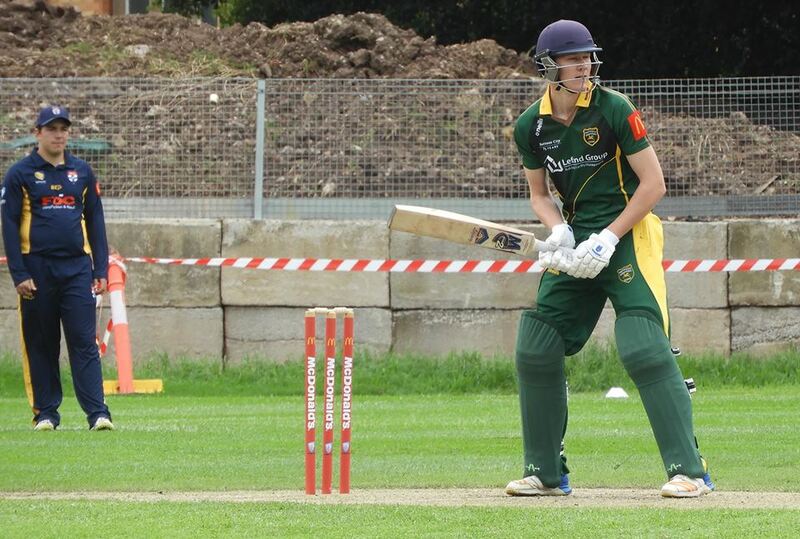 This weekend it was another local rivalry game, this time on the eastern seaboard as we took on the Eastern Suburbs Dolphins in a series of 50-over matches on Australia Day. With the Dolphins sitting mid-table on the Club Championship, just a couple of places below us, it was a crucial day of cricket across the Grades, with all Grades still in finals’ contention. Metropolitan Cup are also two sides in form right now, with both in finals’ contention coming towards the business end of the season. Read below to see who starred in Round 10 and how we fared across the Grades. First Grade made the short trip to Bondi to take on Eastern Suburbs with both sides desperate for a win. 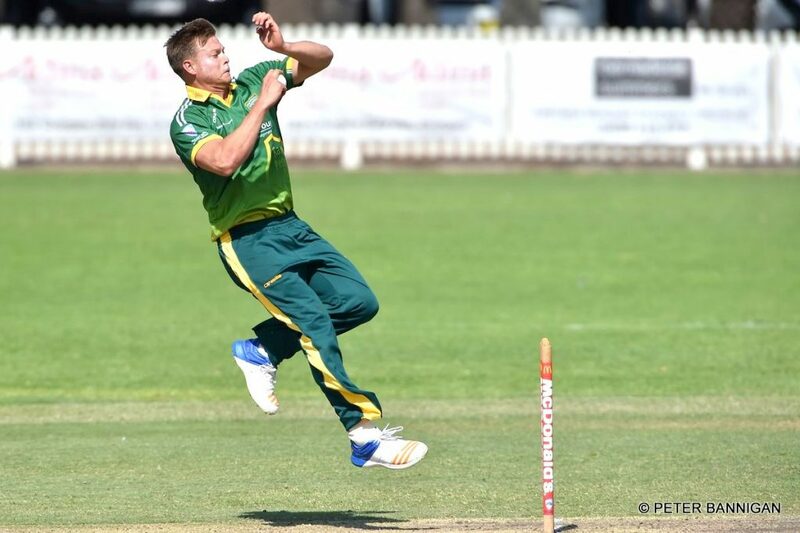 With the side now in 8th place, we had a couple of changes to the team, with off spinning all rounder Jacob Wood rewarded for his solid form in PG’s and Second Grade, with a debut in First Grade. Congratulations Jacob! Young quick Jason Ralston was also back to take on his former Club with Ironically Henry Thornton from Easts back in their side to take on his former Club. 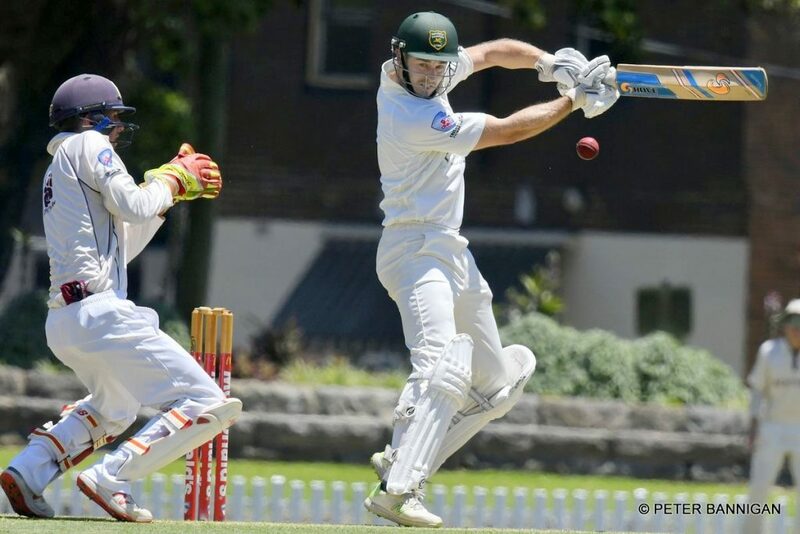 In the end it was a heartbreaking loss on Australia Day for Randwick Petersham First Grade with a low scoring game providing plenty of thrills and spills for the fans on hand. Having been bowled out for 179, Randwick Petersham had Easts reeling at 7/69, before an unbroken 111-run partnership between Angus Robson (52n/o) and Number 9 Stuart Meaker (61n/o) saw the hosts get over the line with six overs to spare. Robson was the anchor of the innings from Number 3, whilst Meaker threw caution to the wind scoring his 61 from just 66 balls. 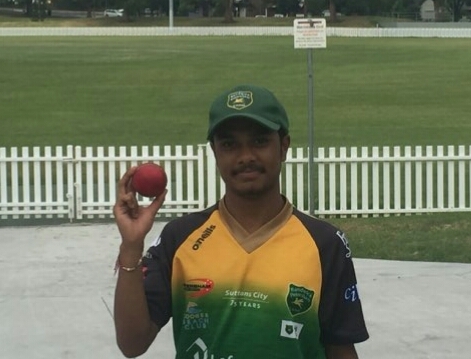 Randwick Petersham had been in similar trouble in their innings at 6/79, before all-rounder Daya Singh hit 79, and was well supported by Adam Semple (38), as the visitors scratched out a competitive score. The fans were left wanting more from white ball demolisher Matt Calder who was left on 5 not out at the end of the innings as we managed to recover and post a decent score after a tough start on a slow and spongy outfield. Singh then turned his day into a memorable one personally, ripping out three of Easts’ top 5, including NSW batsman Peter Neville for 4, and Middlesex’s Sam Robson for 2. 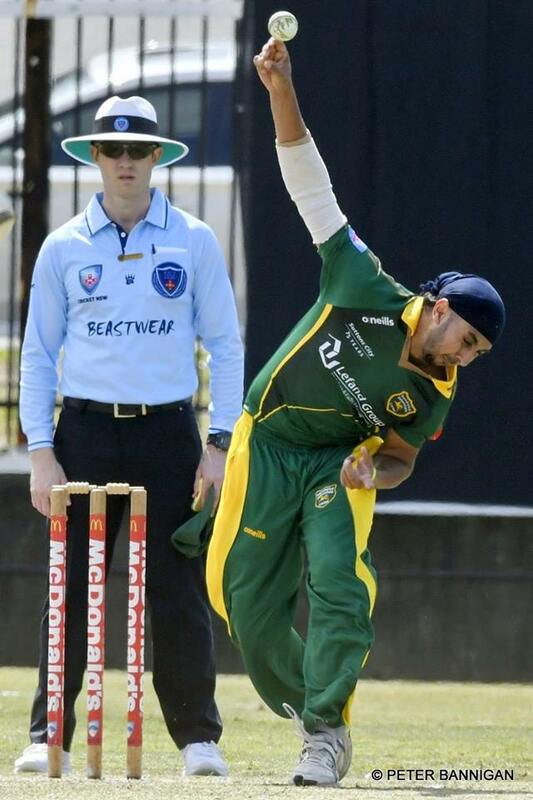 Singh would finish with 4/31 from his 10 overs, whilst the other bowlers struggled to make inroads. Randy Petes now find themselves in 11th place in First Grade, seven points behind their opponents next weekend in 6th placed Bankstown. The game is a crucial one to keep our finals’ hopes alive with the boys battling hard of late, despite behind severely undermanned with the loss of Warner, Bell-Drummond, Daniel Sams and Sangha to T20 Cricket around the globe. The game is a two-day Saturday /Sunday fixture with kickoff off at 10.30am at Bankstown Oval. 1st Grade trump Daya Singh had an amazing all round match! Congratulations to Daniel Bell-Drummond who passed 2000 T20 career runs over the weekend. 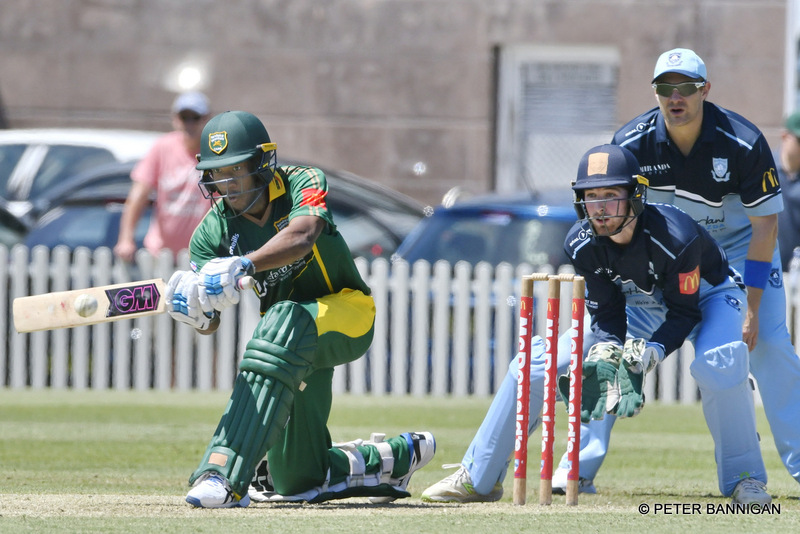 DBD scored 51* in Auckland Aces 9 wicket win over Canterbury Kings on Saturday. This follows 30 in his debut a week earlier. In other news Harry Tector has been captaining the Irish Wolves (Ireland A) in Sri Lanka and last week scored his maiden Ireland senior century – 103 from 111 balls. To cap off the tour ‘H’ has been named in the Ireland T20 side for the Quadrangular Tournament in Oman and multi-format tour v Afghanistan in India in February. This is the first time he has been selected in the senior team and everyone at the Randy Petes congratulate our latest representative. Second Grade were looking to get back into the winner’s circle after being outplayed by Sydney University last weekend. It was a huge game against our local rivals with Easts sitting just three spots below us in 8th as they arrived at Coogee Oval. Twos had a few boosts to their team with inspirational captain Mitch Calder back from his broken thumb, whilst youngster Mac Jenkins would bat at Number 3. Despite putting up a competitive performance, Easts proved too good on the day, running down our score of 8/215 from our 50 overs for the loss of 6 wickets, with five overs to spare. Easts appeared to be cruising at 2/151 in the run chase, before we took four relatively quick wickets to give the visitors a nervy finish at 6/195, before they closed the game out. With the bat, perhaps we ended up a few short after building a strong platform at 3/141, before ending up 20-30 short of what might have been a winning score. Conditions at Coogee were perfect with the ground remaining a great place for cricket and especially for a local derby. RPC made a bright star to the day after electing to bat, with opener Mahony-Brack (47) and Number 4 Lyle (57) both digging in and battling the heat. Mahony-Brack was the more aggressive of the two, scoring 5 boundaries with some nice drives, whilst Lyle was more content to take the ones or twos on offer. Unfortunately we then suffered a small middle order collapse, which meant we had to halt our surge for a big finish. There were a couple of nice contributions towards the end of the innings with De Silva (22), Mitch Calder (18), Bailey Kenzie (15n/o) and Doug Loth (10n/o) all chipping in to get us to a competitive score. Easts’ bowled to their plans really well, even though there was nothing special about the attack. Despite not picking up the victory, we had a number of bowlers who performed solidly. There were a number of plays and misses, and we looked on top at times, however the Easts’ top order got a few breaks and got away from us. Jenkins (0/26-7) bowled really well building pressure from one end, whilst our opening bowlers of T Mac (2/46-10) and Loth (2/39-10) took a couple of late wickets to create a bit of doubt in the Easts’ batting order, but unfortunately we probably ended up 40-50 short with the bat. Skipper Mitch Calder wanted to send a thank you to Stan for scoring, and the tireless work of Robyn and his mum Helen in the canteen. Overall Calder noted the game was played in great spirits. Despite the loss, the side remains in an excellent position in fifth place on the table. It doesn’t get any easier next week as we head to our other home Petersham Oval to take on second placed Bankstown. Third Grade headed to one of the more interesting cricket grounds in Sydney in Trumper Park as we looked to improve on our 9th place ranking after a loss to Sydney University. It was another huge challenge for ours boys against first placed Easts who often play the conditions well at Trumper. With the Trumper wicket up to all sorts of tricks as we were bowled out for 109 and never really get back in the game from there. We managed to grab a couple of early wickets with Easts 2/30, before they cruised to victory as the wicket steadied a bit, passing out score for the loss of 3 wickets. We had done well just to dig out a score of over 100 from 4/29 and 7/49, with Montedoro and Murdita copping some brutal deliveries.Captain Ben Stares mentioned all of the top 6 were out to wither good bowling or balls that did plenty of the wicket with none of the boys giving their wickets awayLuke Radford (28) and Kel Mullins (28) both showed excellent determination on a difficult wicket. Mullins showed a lot of character, batting for 80 balls and really valuing his wicket, while showing flashes of aggression which the punchy left hander is capable of. Radford batted at a more aggressive tempo, scoring at a run a ball including four 4s and a towering six. Radford (2/38-8.3) came out firing with the ball, picking up a wicket with the first ball of the innings caught behind by wicket keeper Mullins. Hopes were raised further when Radford picked up his second, whilst Dellar chimed in with a wicket to have Easts 3/60, however they quickly asserted their authority from there. The result leaves us in 11th place, however it is a cluttered table and we remain just 7 points outside the 6. Sitting in 6th place are our opponents next weekend as we head to Jenson Park to take on the 6th placed Bulldogs in a game we probably need to win to keep our finals’ hopes alive. 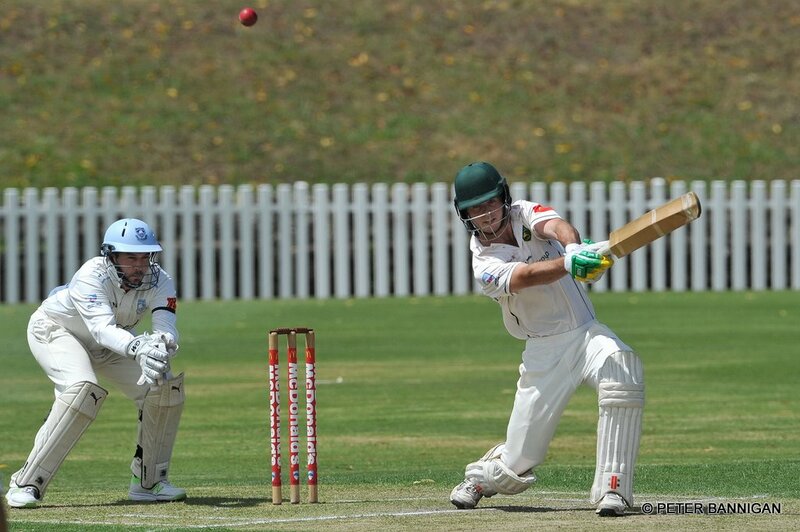 Fourth Grade were desperate to get back into the winner’s circle as they headed to the Inner West Home of Cricket in Petersham Oval to take on the Dolphins. After a tough loss last week, the side is now in 16th place, and it didn’t get any easier with Easts in 8th place looking to push for a finals’ berth. Unfortunately it wasn’t a great day for the boys as we were bundled out for 79 in just 34 overs, before Easts ran down our total for the loss of one wicket in 17 overs. Captain Nathan Stares was happy to win the toss on a good batting wicket at Petersham and had no hesitation in batting first. However we were quickly in bother with only youngster Reuben Sachs continuing to show why he is a player on the rise by top scoring with a classy 34 as wickets fell around him. There is no doubt Reuben is a higher grade player for the Club in the future. Both Mahajan and Hutchinson showed some grit scoring 15 each, however it was disappointing to be bowled out with still over 15 overs remaining. With the ball there was nothing really to write home about as Easts, with all the momentum, went hard and tried to finish the game as quickly as possible. The team is now in 17th place and takes on 14th placed Bankstown next weekend at Coogee Oval. Fifth Grade were looking to make it three victories on the bounce and keep their great momentum going when they played the local derby against Easts at Snape Park. It was an interesting scenario at Snape, being our training headquarters, but an away game for us with Easts Fifth Grade calling the venue home. With the side into 9th on the ladder, a win would push us closer to the Top 6. Captain Heaton was happy to win the toss and bat, with the conditions at Snape was just perfect to bat first, with the wicket looking hard and the outfield, although well mowed, was still going to be slow if the ball was hit along the turf. The goal was to get 3 runs per over in the first 20 overs and build from there. However, the Easts’ opening bowlers stayed in the channel and, with a conservative field, tied the Randy Petes’ openers to less than 2 runs in 10 overs. But, when the Easts’ left arm orthodox young Under 15 spinner N. Patterson (3 /27) was introduced in the 19th over, the brakes were once again put on the Randy Petes. The middle order tried to up the ante and we managed a very competitive 144 in 48.4 overs. The team was served well by some very useful knocks from Chintan Sapariya (30), Sayem Sultan (21), Nick Saady (26) and Extras (21). With a very defendable target, considering the outfield and a strong bowling RPCC bowling attack, it was game-on, with Nick Saady (2 /28-10), Jack Gibson (1/14-8) and Reid McNamara (1/8-4) leading the way. 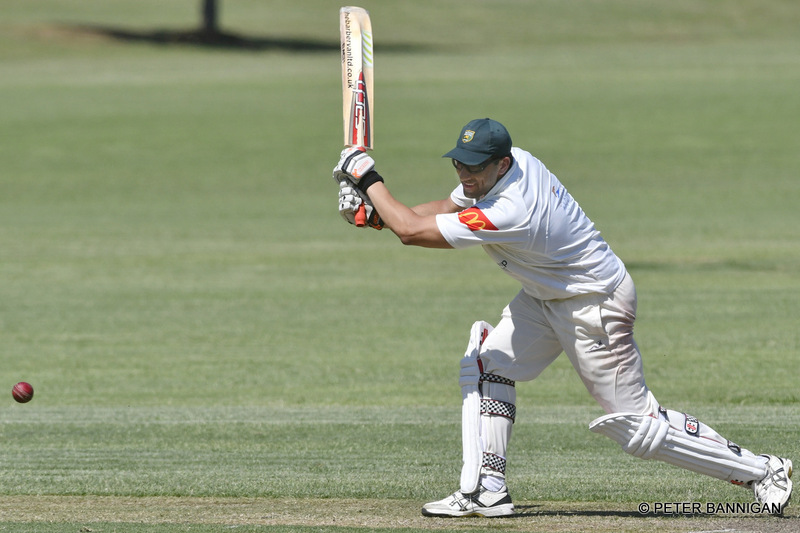 Nick Saady was at his best, snaring two wickets in his first over with two great rocks. But, two young Easts’ batsmen next in put pressure on our fielders by running quick singles and 2’s to keep their run rate up. Then their middle order bounced in and took the game away from us, and a couple of vital catches could have seen the game go either way. Captain Heaton wanted to say thanks to Brett Coombs, Dane Coombs, Belinda Gibson and our lovely Hannah Gibson (score book for the first time for us) for doing the score books. EXCEPTIONAL job!!!!! Plus David Gibson for being in early and ensuring all domestics were covered and also Brett Coombs helping us out with our hit outs during the batsmen’s warm ups. Also, thanks to the Randy Pete’s parents who helped out in various ways and Alan Wright, our Chairman of Selectors, for trying to get us home with valuable tips. The side is now in 10th place on 32 points, but only 8 points behind 6th placed Fairfield Liverpool with four rounds remaining. We need a victory next week against Bankstown at Bankstown Number 2 Oval to remain a shot of making the finals this season. Another toss was lost and Georges River took first use of the Marrickville wicket. An early wicket fell to Bugti (2-21) but Georges River mounted a revival once Joel Wilson forced their skipper to retire hurt. On a flat wicket and lush outfield the bowlers toiled hard to bowl out the Sharks for 148. Yogesh Wanzare with his first 5 wicket haul for the Club bowled outstandingly and his unbroken 10 over spell rewards his consistency so far this season. The chase got off to a decent start with 21 on the board before Rushton departed. Bird (39) played an anchoring role throughout the innings but as the wicket slowed and the spinners restricted the scoring the target of 149 was just out of reach for the Golds. The loss was disappointing but everyone knows what to do next round to maintain a top 6 berth. The skippers luck on the toss continued post Christmas with a third win in a row, and Green looked to make use of their strength – bowling. Unfortunately, it started off as a weakness with a wayward start, before Jack Brennan brought back some control to have the Gordon skipper caught at slip. From there, the Gordon opener and number 3 impressively consolidated then capitalised in the middle overs. It took seasoned spinner Ishrak Imroze (2-25) to finally get the break through, catching both the number 3 and self-proclaimed U21 Australian representative lbw. Rohan Awati then took out the opener and nuggety middle order stodger to finish with 2-39. What at one stage was looking like a 200+ chase, was smartly brought back by Jack Brennan (2-26) and Ben Smith (2-11), the latter who bowled in impressively in his first bowling outing with the Randy Petes. After several impressive recent performances, Awati was promoted to open the batting and repaid the faith with a patient 48, despite losing opener Marley Besgrove and Jackson Dodd early. He was the ideal foil to a sparkling cameo from Josh Smith, who heartily mixed lusty hit with smart field manipulation for 65 valuable runs. After the returning Jarrod Hookey missed out, the skipper and Josh inched towards the target. Josh perished going for his 5th six, while the Gordon leggie strangled the lower order to leave the skipper, ten and jack with a mountain to climb. While they only reduced the deficit to 35, it was enough to prevent Gordon from taking a bonus point.